Over the weekend, a magical wedding took place in one of the most romantic cities in the world, for which Italian mahogany speedboats whisked guests to a Venetian palazzo and the bride wore French lace. One may describe the affair as straight out of Hollywood. And, well, they would be right. It was, after all, the highly anticipated marriage of actor and (former) career bachelor George Clooney to civil rights attorney Amal Alamuddin. But we’ll leave photos of celebrity attendees and details about the cake to People magazine. What caught our eye was the couple’s custom designed wedding logo, which appeared on everything from the bride’s hatbox to the flags flown from the speedboats transporting guests. In the case of George and Amal, the logo consisted of an elegant script “A” next to a handsome block type “G.” A wedding logo, after all, should reflect the style and personalities of the bride and groom. In a study conducted by The Knot, 50% of luxury brides in 2013 incorporated a logo into their wedding, and the appeal is obvious: It’s a way for a couple to identify themselves as officially united. 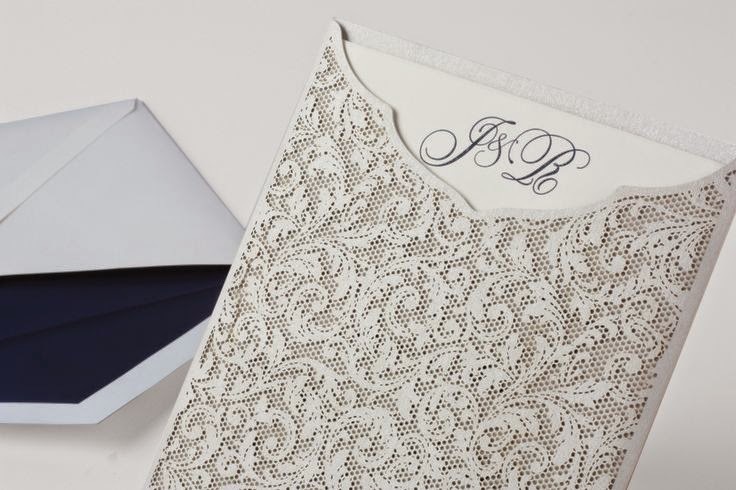 We’ve been using the wedding logo on invitations for quite some time: Monogrammed initials are a popular design element couples choose to incorporate, be it something we’ve designed or that they've commissioned on their own. 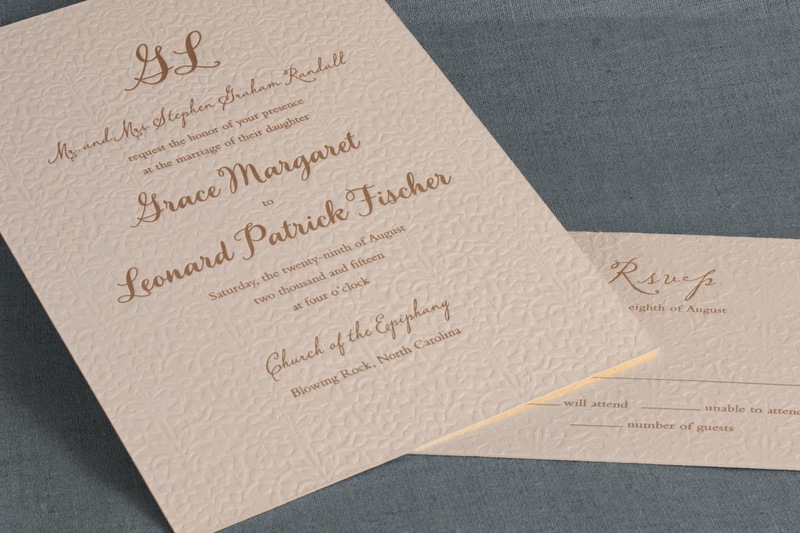 We always say that the invitation is the first glimpse guests will have of the kind of wedding that will follow. 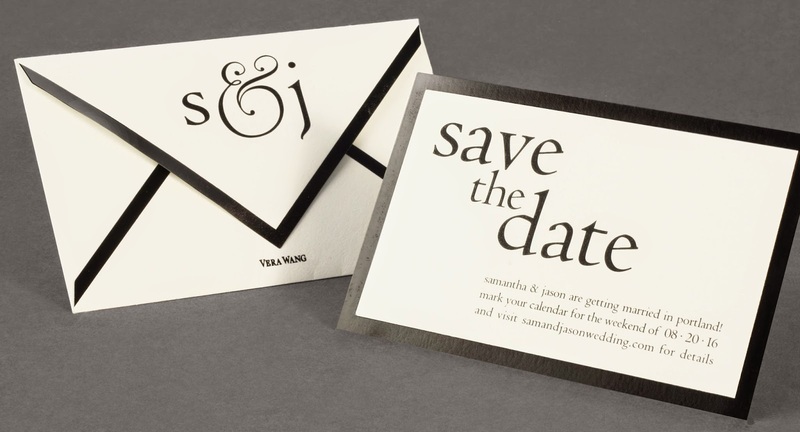 By including a logo on the invitation, it allows couples to use that same design element to bring all aspects of the wedding together: the wedding website, the favors, the welcome totes, the programs and, of course, the flags flying off your Italian speedboats racing toward the Venetian palazzo. An oversized script monogram is blind embossed to most certainly make a big impression. 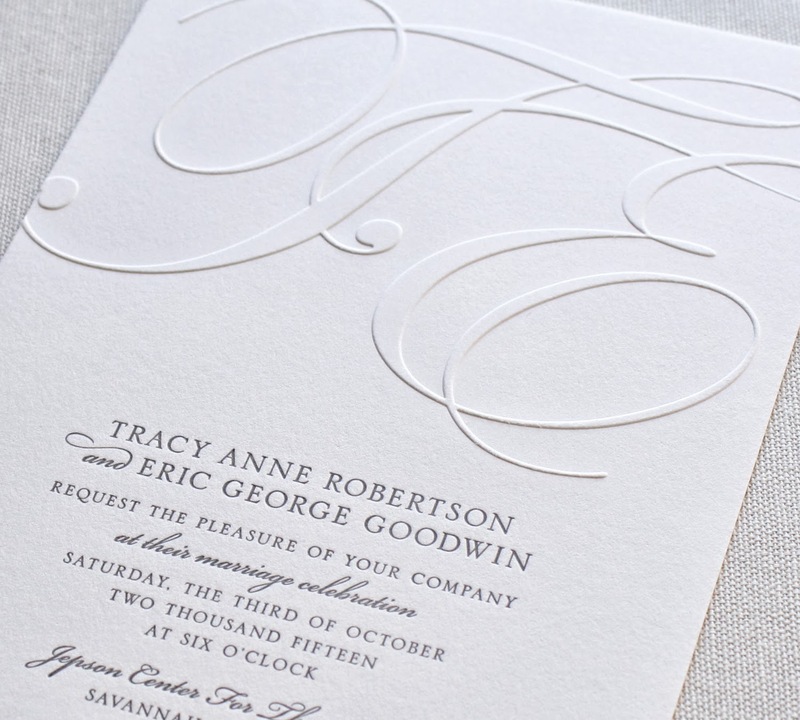 Two cursive initials are letterpress printed for a monogram that exudes sweet & simple. A fantastic flourish perfectly represents the most charming of couples. 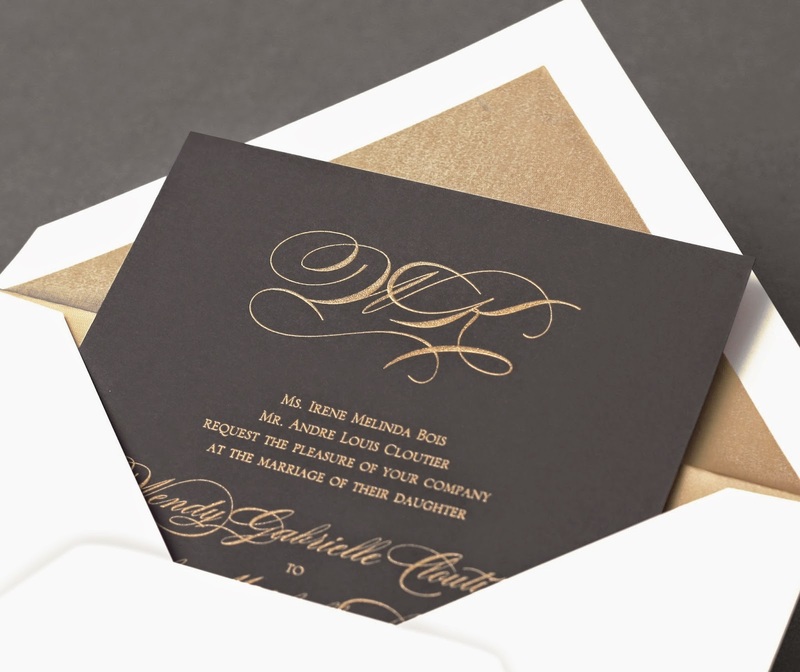 A monogram with gold flourish is the perfect reflection of an elegant, formal affair. 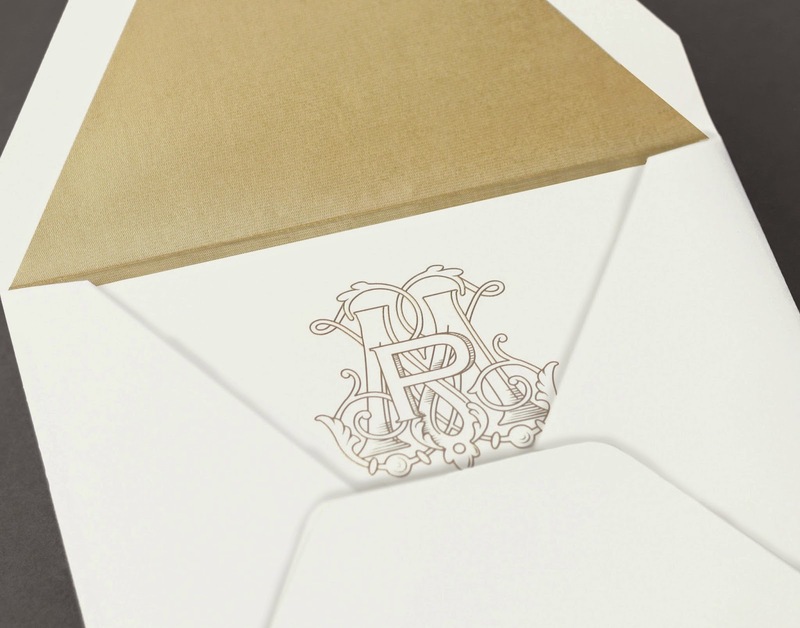 Many of our monograms are hand-drawn—perfect for the wonderfully unique couple. A playful palette of typestyles makes this monogram equal parts whimsical and modern. For more ideas, visit our William Arthur and Vera Wang "Initial Reactions" Pinterest boards.